ROLLING blackouts are to become a permanent feature of South Africa’s business landscape for up to two weeks as the country’s power utility, Eskom, attempts to figure out why it has lost up to 4,000MW in generation. Pravin Gordhan, public enterprises minister, promised to report back on the situation in 10 to 14 days. He also promised his department and Eskom would have a grip on energy security in about a year. The situation is growing dire for the country’s economy which is said to be losing R2bn a day and possibly more if the utility extends ‘load-shedding’ from its current 4,000MW instalments (Stage 4) to 5,000MW and 6,000MW, as suggested by Fin24. Phakamani Hadebe, Eskom CEO, said one of the company’s many problems was it had regressively spent less on maintenance over the last five years even though its power stations were ageing. There had been an increase in maintenance spend to R27bn in 2015 after government insisted on it as part of a subsidy agreement, but by 2017, maintenance spend had fallen to R20bn having once been at R32bn in Eskom’s 2013-14 financial year. 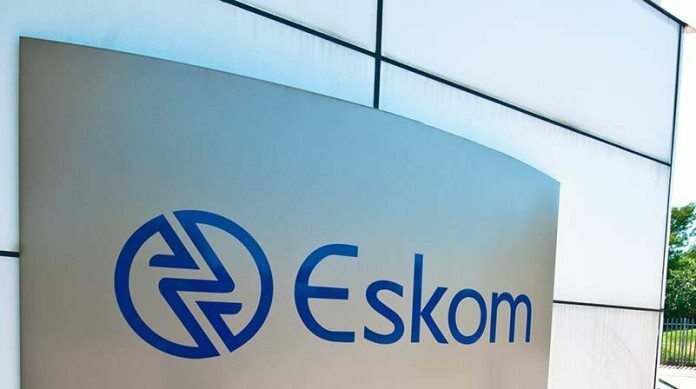 Eskom provided for maintenance spend on its fleet of R19bn for the 2018 financial year owing to cash constraints, but had since increased that amount by R5.5bn when the new management recognised the extent of the problems – a realisation it had come to “within a matter of months”. As a result, Eskom was giving thought to keeping the remaining units of its fleet open for longer at the Grootvlei, Komati and Hendrina power station which had been previously earmarked for complete closure over the next three to four years, said Jan Oberholzer, COO of Eskom. Less clear, however, is Eskom’s attitude to its new build projects. It said today it was conducting an exercise to see the effect of abandoning the completion of its Medupi and Kusile power station builds given the financial strain under which the utility is operating, according to chairman, Jabu Mabuza. While Mabuza said there were no plans to abandon the projects entirely on the basis that they were “high-yielding”, he also added that their completion was not cast in iron. “We are currently doing an exercise to look at what would be the effect of not continuing to spend in completing these,” he said. Eskom said in an investor presentation in 2018 that it planned to commission 6,382MW of electricity in the next five years from its capital build programme. Some R257.9m had been spent on Medupi and Kusile – which have a combined capacity of about 9,000MW – with a further R345bn left to spend in order to complete the project, including the cost of transmission. Eskom has some R419bn in debt some of which it is unable to service. The National Energy Regulator (Nersa) approved a tariff increase for this year of 13.5% including recoveries it made from the previous year when it overspent on its budget. However, this fell short of the 15% asked for, said Mabuza. Commenting on the pressure of the company’s debt, Gordhan, said it was “… time to change the structure” of Eskom. He was commenting on plans to separate the business into three separate entities in order to assess where it could drive efficiencies. 1. Where did they spend the 300% additional income derived from the increases the last 10 years? 2. According to the world bank ESKOM has about 16,000 workers too many? If they don’t do maintenance where are these people working? 3. Since December they have a shortage of Diesel fuel for the open gas turbines; why are they not doing something about it? 4. Does it really have to take 18 months to realise they need a contractor to fix the tubes? 5. If the leaking tubes are the problem, why don’t they replace them starting at one plant moving to the next? After 50 years of operating these plant it should be a stock item, which should make procurement a breeze. 6. Could we not arm a reporter with a whole list of questions to go grill those liars until we really know the truth.